I have made the decision to paint the ground within my FMP, the process which I found that I wanted to experiment with and thought that would be the most useful for this would be vertex painting. 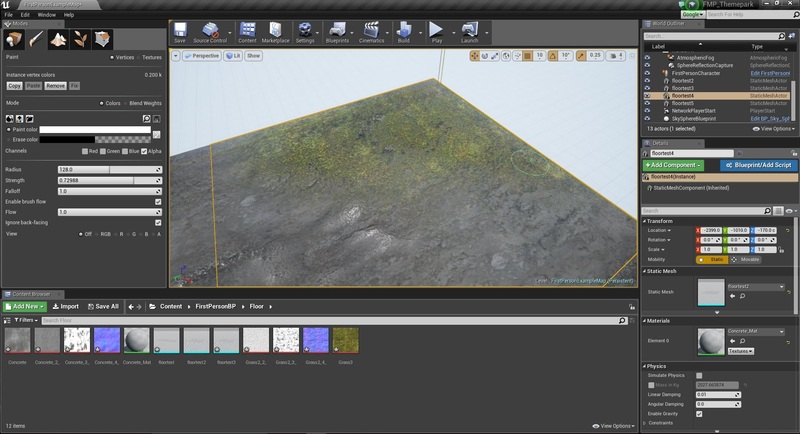 The reason for my choice of vertex painting rather than just simply texturing the floor is because this allows me to constantly edit the floor material between four different textures and allowing me to edit until I reach my desired result. Although vertex painting has its uses and can be considered extremely useful, it has its negatives. One which applies to me is that the floor itself must contain a large amount of verts meaning that the environment uses more polys then it should but after weighing out the pros and cons I believe for the environment floor, this would be an advantage. I would not consider vertex painting for assets within my environment as this wouldn’t be optimising and would not be the most effective method. This could be used to texture rust onto objects within my environment, although I would either simply have rust on the texture itself or use decals where possible in order to achieve that look with far less poly count. Vertex painting works by sharing multiple textures on a single material by working between the different channels in order to apply them to the desired model, in this instance it would be the section of floor I have modelled. 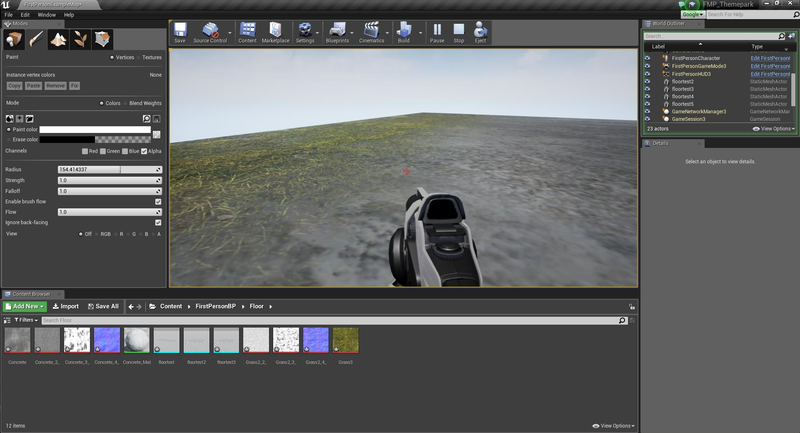 Within this material, I would lay out the textures as shown below in order to create a functioning material which would work within engine. 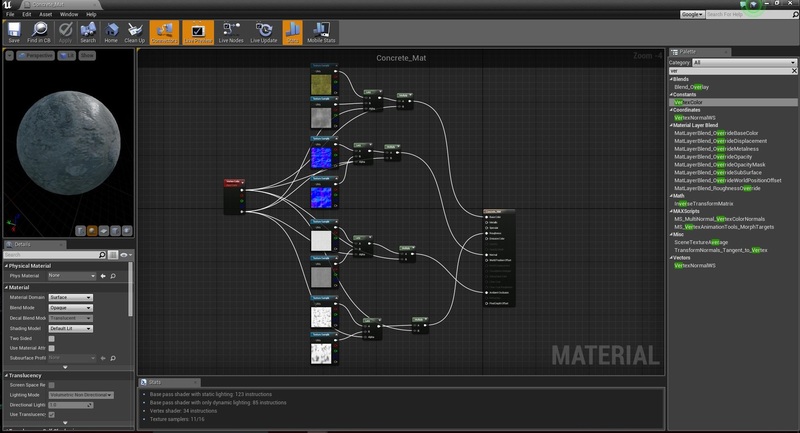 This material uses two different types of textures which each contain four different maps (Normal, Albedo, Roughness and Ambient Occlusion), each one passing through a lerp and a multiply node and finally being attached to the correct socket. The node which holds all of these together is the vertex paint node, which is the node that allows us to paint between the original state and the alpha state in order to create two different effects. Once saving my material, I went onto the paint tab, deselected the red, green and blue channels leaving only the alpha channel selected. I began painting on my material by pressing the left mouse button and shift in order to start painting grass onto my concrete and began creating my desired look.